Can you solve for the Triangle? This is another fun and challenging math puzzle, which is a simple system of equations made up of the shapes instead of numbers. The shapes include a circle, square, and triangle, in which you are asked to solve for the value of the triangle. 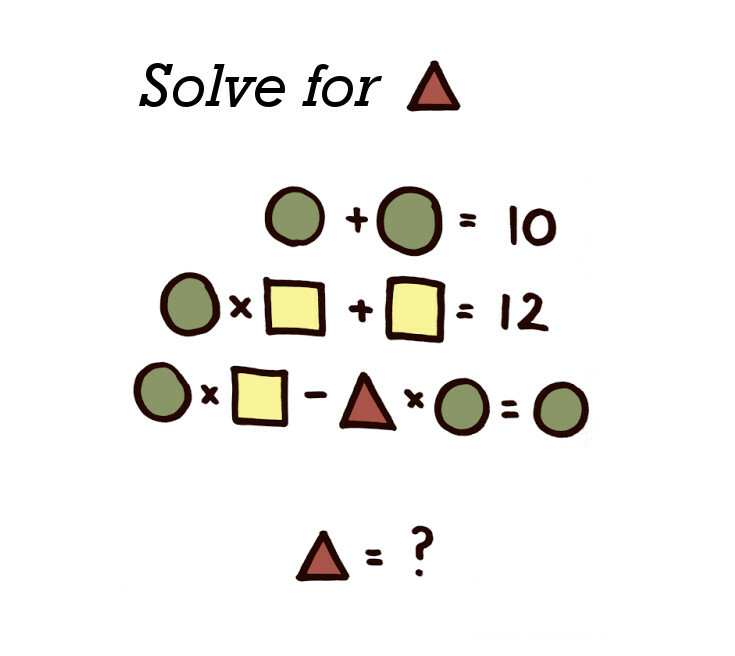 This is good and quick math puzzle to challenge your brain, so try to solve it for yourself before checking the solution!